A commission for a super awesome friend. She has yet to approve it, but I would totally keep it if she doesn't want it! The clutch had to have a zipper closure, so I modified the Noodlehead Envelope Clutch. Not to give away anything about her pattern, but I followed everything up to page 10. Do not complete page 11 on! 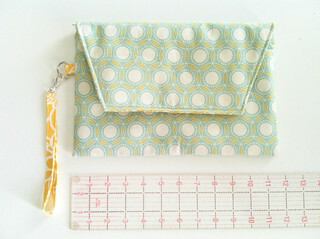 Instead, take your pattern pieces and then finish them like you woud any other zipper pouch. A strictly one zipper policy - you're killing me. 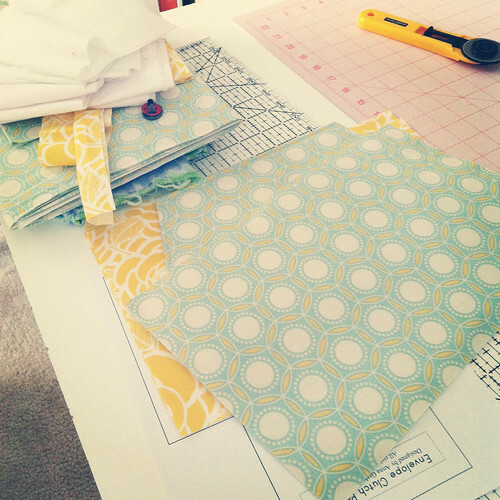 LOVE your fabric choices with this! So pretty! 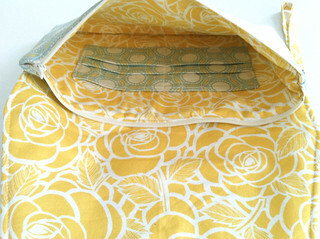 I have a lot of that print in the taupe/green -- but I LOVE it in the yellow! 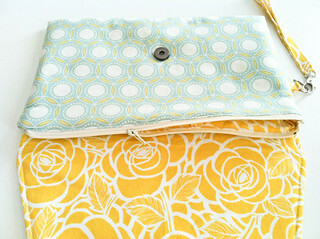 Very nice little clutch - LOVE that yellow print!